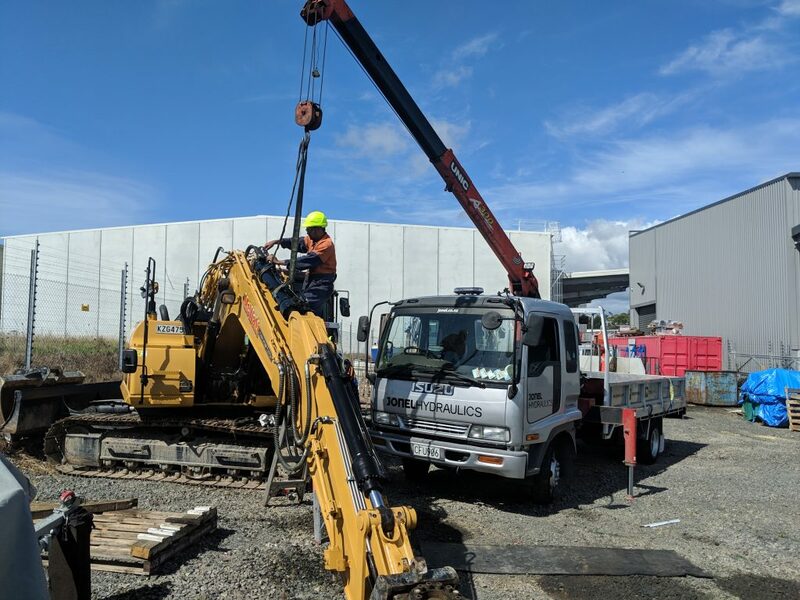 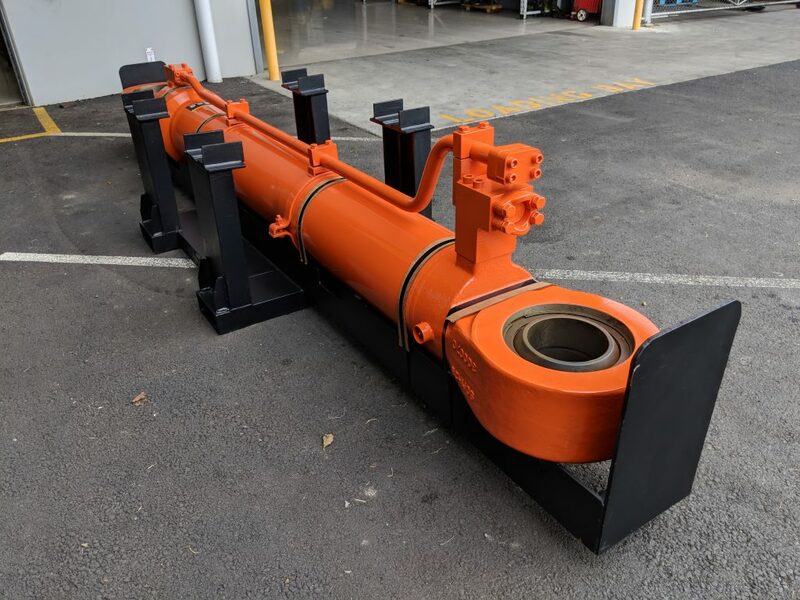 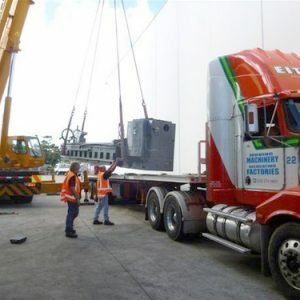 Large Hitachi cylinder been prepared for transport back to South Island from Jonel in East Tamaki after having new cylinder manufactured and full recondition. 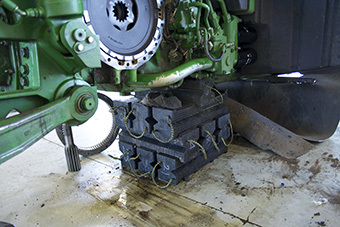 Small cribbing blocks stabilise a John Deere. 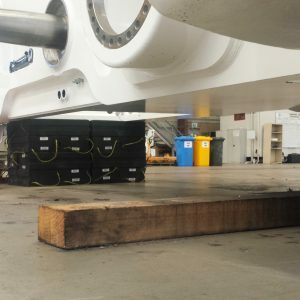 Cribbing blocks at work stabilising an outrigger. 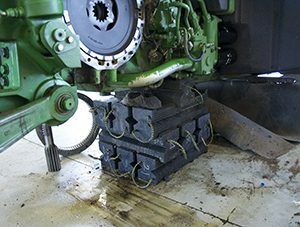 Cribbing blocks at work in an emergency. 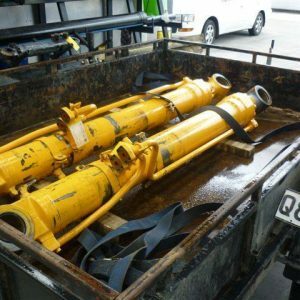 Jonel Hydraulics are highly experienced in dealing with hydraulic cylinders from earthmoving industry and also repairing them fast! 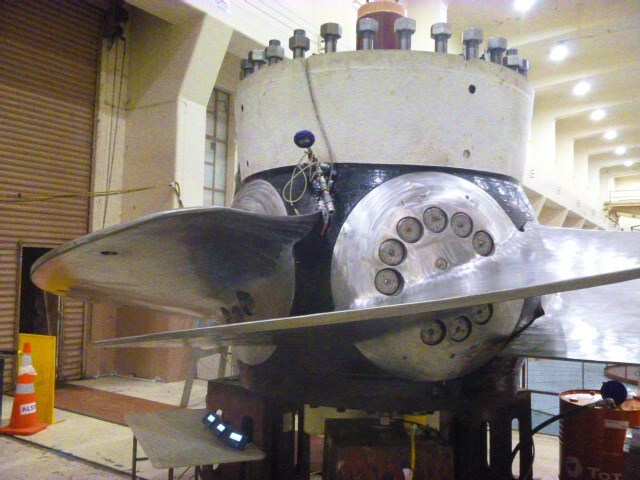 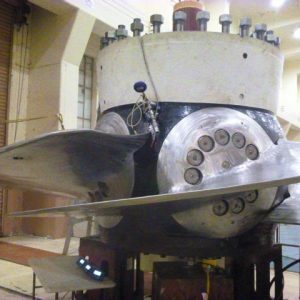 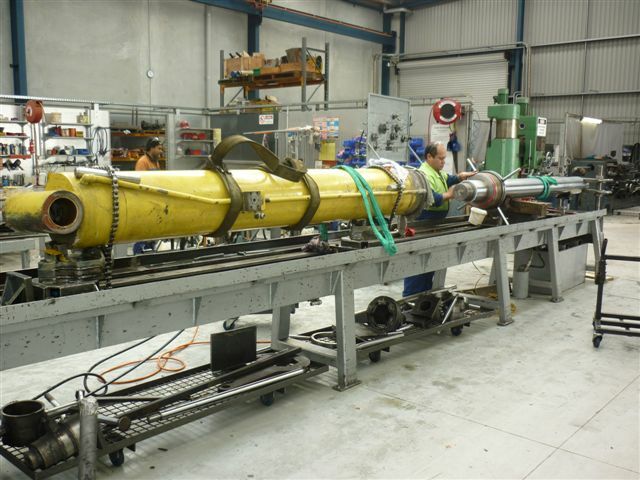 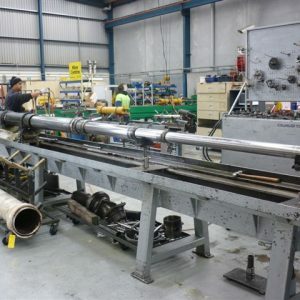 The repair process includes manufacturing components such as shafts, bore tube and also honing. 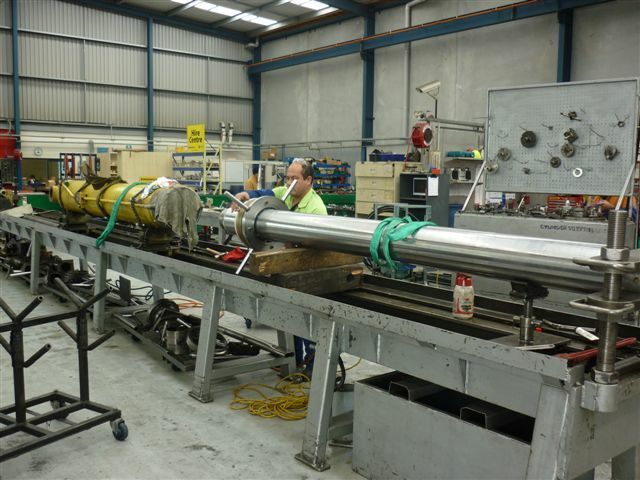 All cylinders are subjected to Jonel’s test protocols prior to delivery the customers. 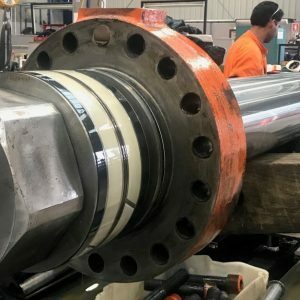 Damaged cylinder A nice moment to reflect on a damaged shaft! 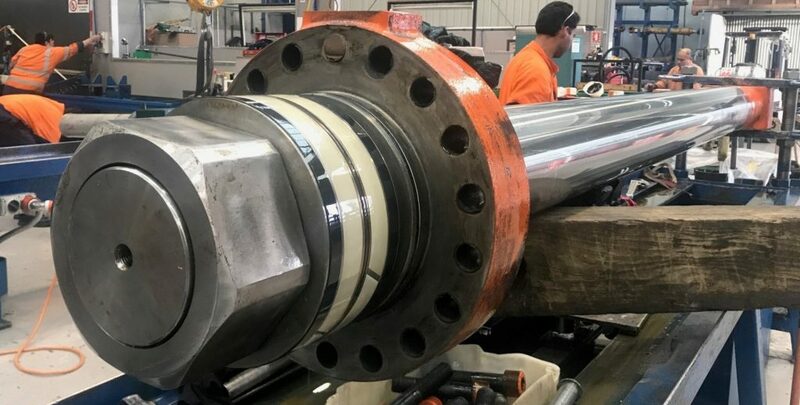 We repaired this cylinder by manufacturing a new chrome shaft, resealing and honing the barrel to ensure there were no blemishes. 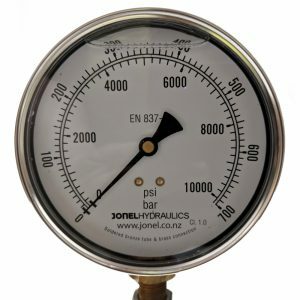 Jonel Hydraulics can refurbish pumps, motors and valves which will extend the useful life thereby saving money for the customer. 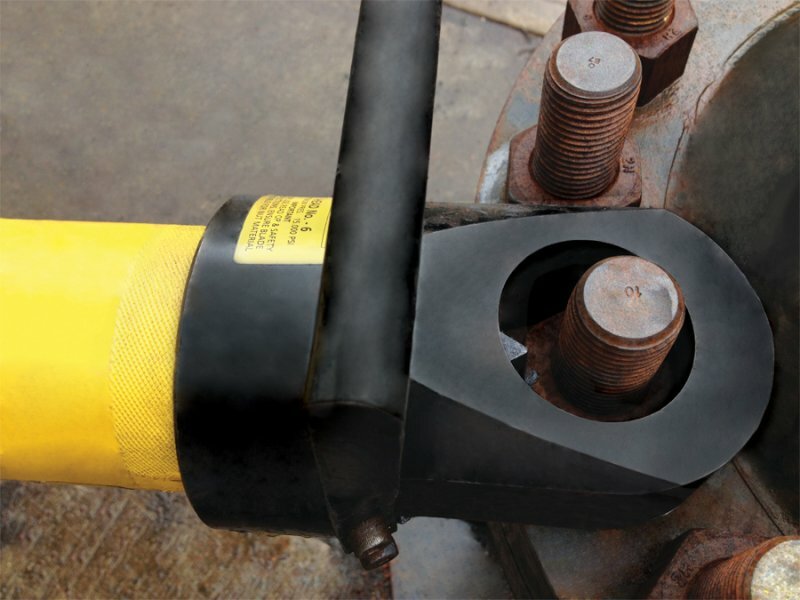 A No 14 Head with size ‘C’ Cylinder can split nuts up to 3-7/8” – 4-1/4” or (95 – 105mm) AF. 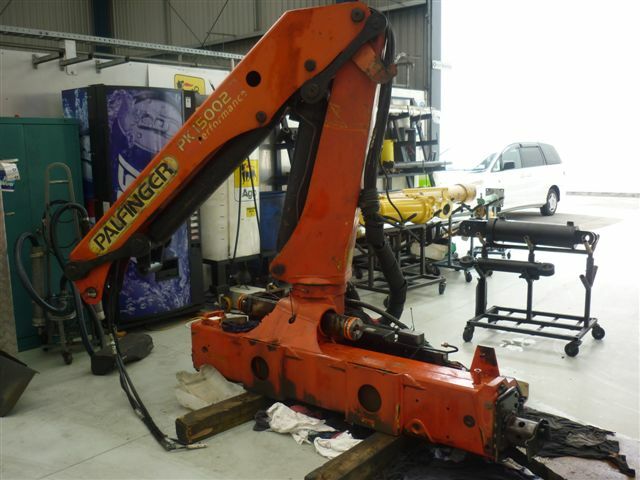 This Palfinger unit came into Jonel Hydraulics as an insurance job after the truck meeting with an accident. 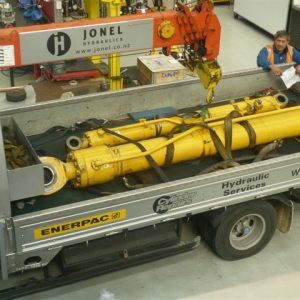 The Jonel team dismounted the unit, disassembled all the components, repaired all the hydraulic cylinders, disassembled and assembled all the components, repaired all the hydraulic cylinders, disassembled and assembled extension section for fitting wear pads, replaced all wear pads, slew tubes removed and rack and cylinder checked for damage and assembled the unit on truck and tested. 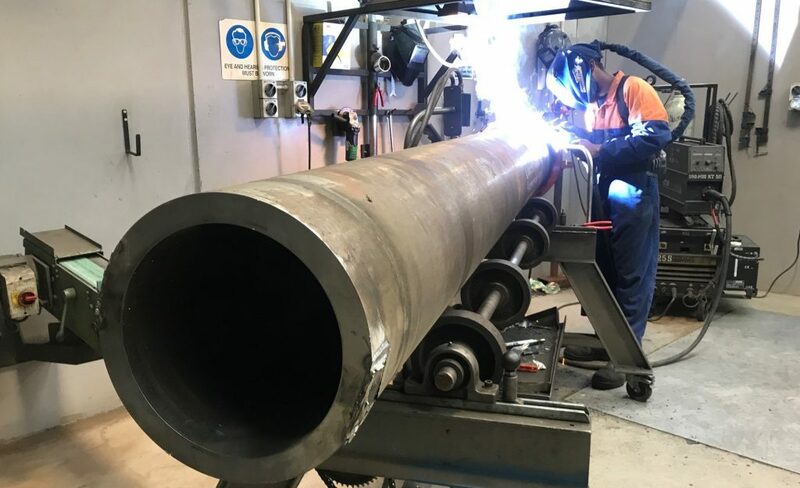 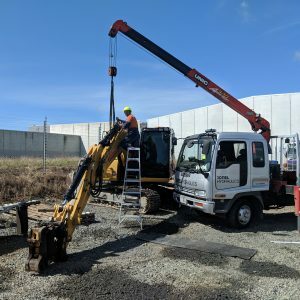 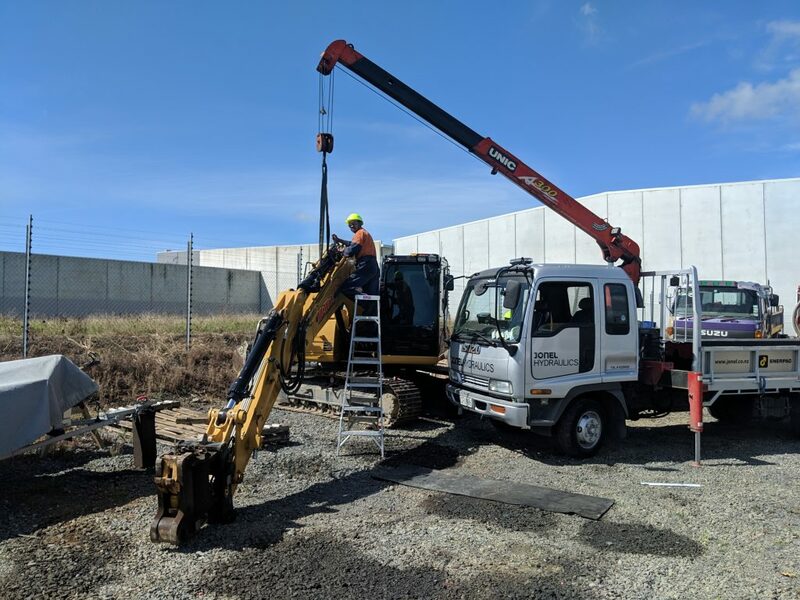 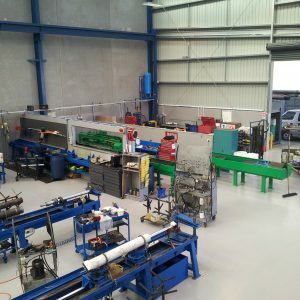 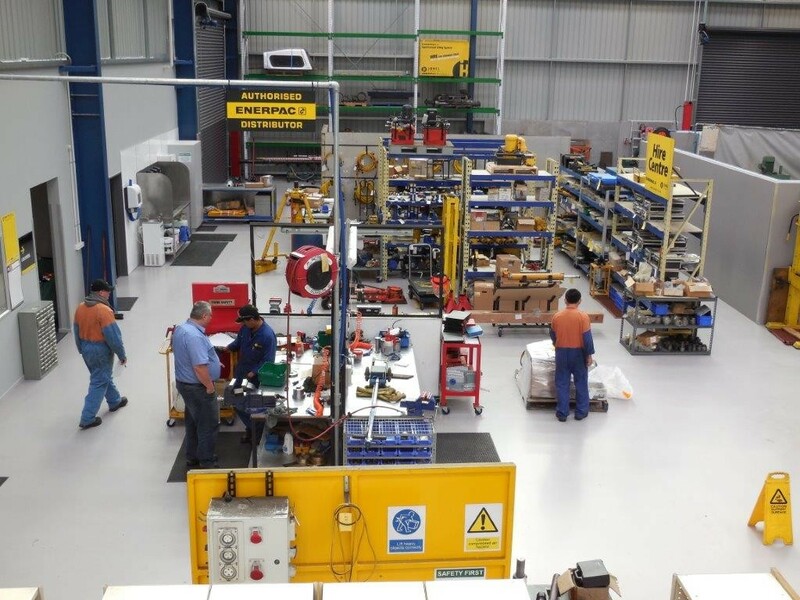 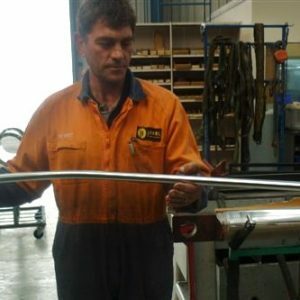 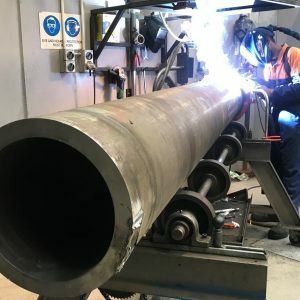 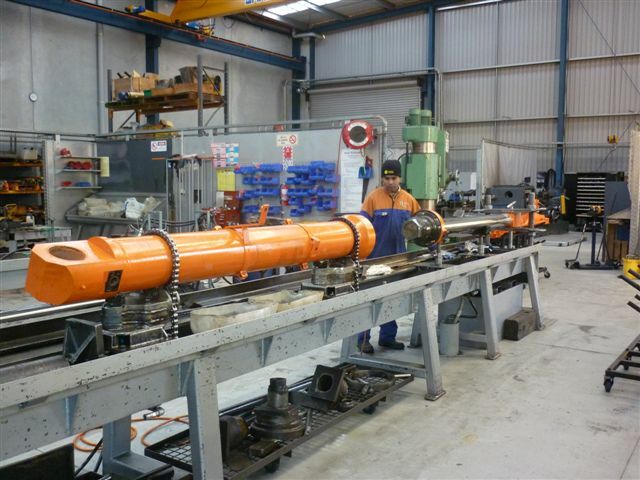 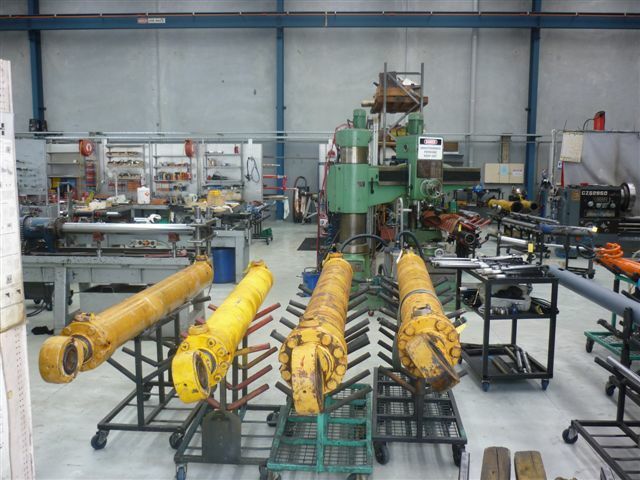 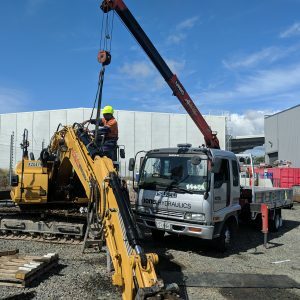 New larger premises Our facilities at 7 Blackburn Road in East Tamaki were purpose built for servicing large hydraulic cylinders. 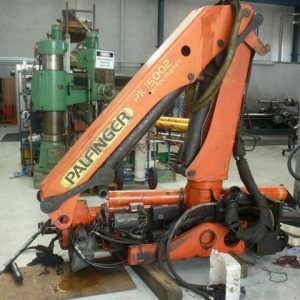 Palfinger units are complicated pieces of machinery. 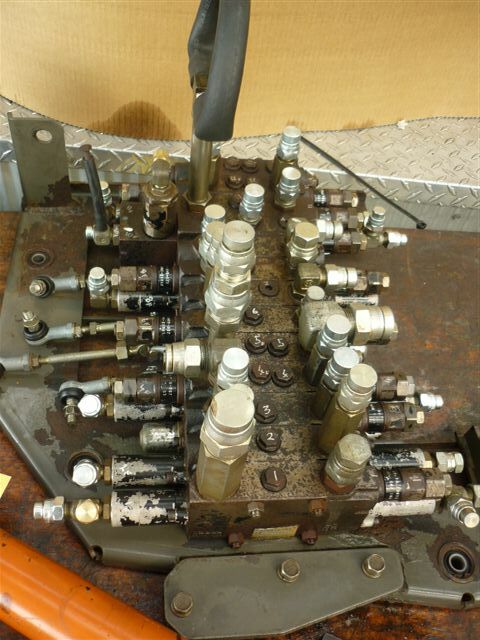 To repair them one needs knowledge and tools and equipment. 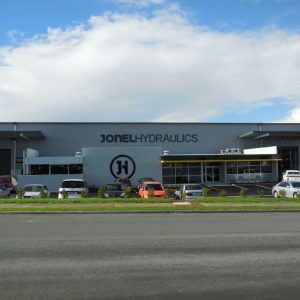 Jonel Hydraulics had both of them. 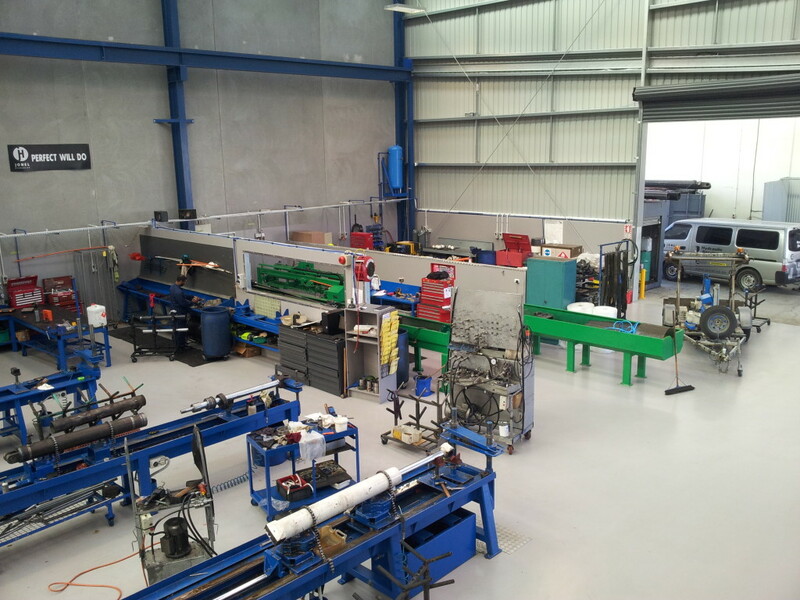 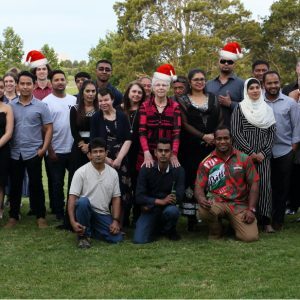 The Christchurch team have moved to a larger workshop. 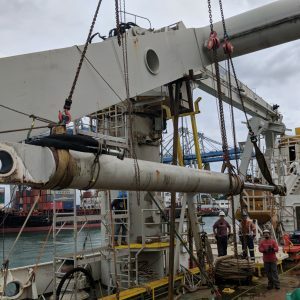 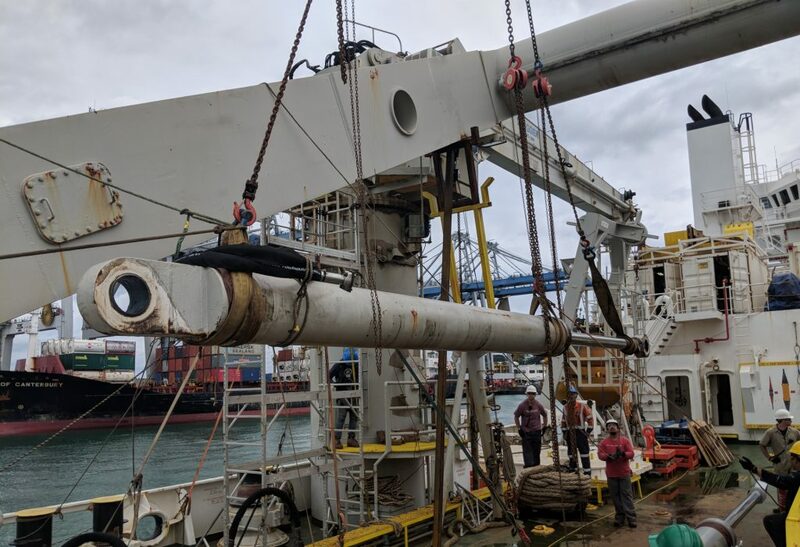 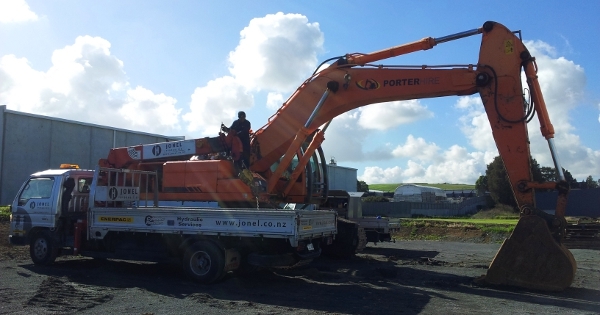 This 900T stressing jack supplied by Jonel Hydraulics in 2007 is believed to be the largest of its kind and was used during the construction of the Tauranga bridge which was opened in Sept 2009. 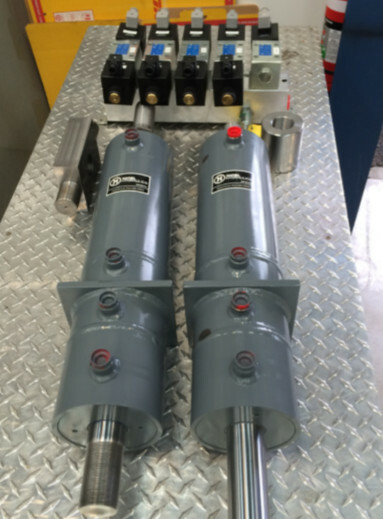 RAMs ready for a speedy RAM repair service. 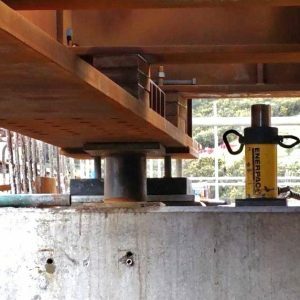 Big hydraulic cylinders are no problem. 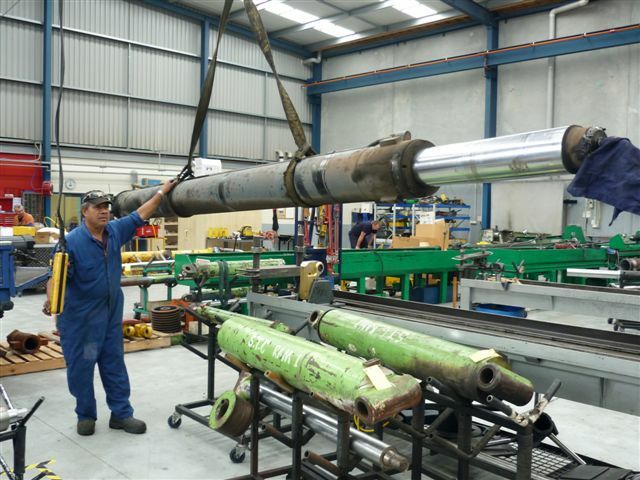 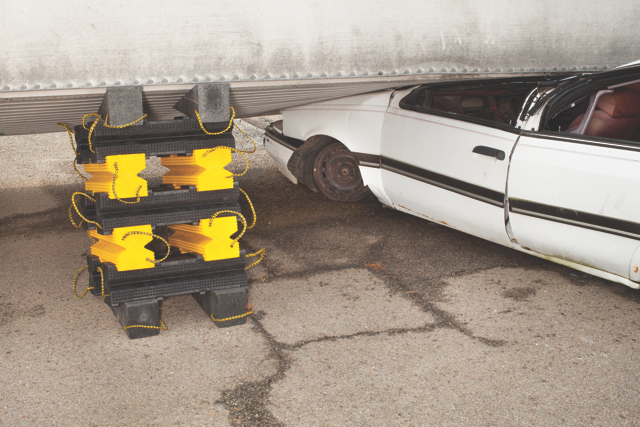 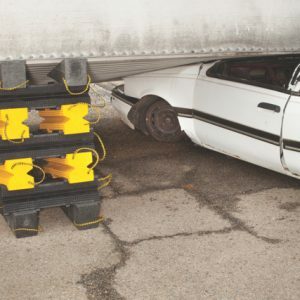 We have all the facilities to take care of your damaged cylinders, regardless of the size. 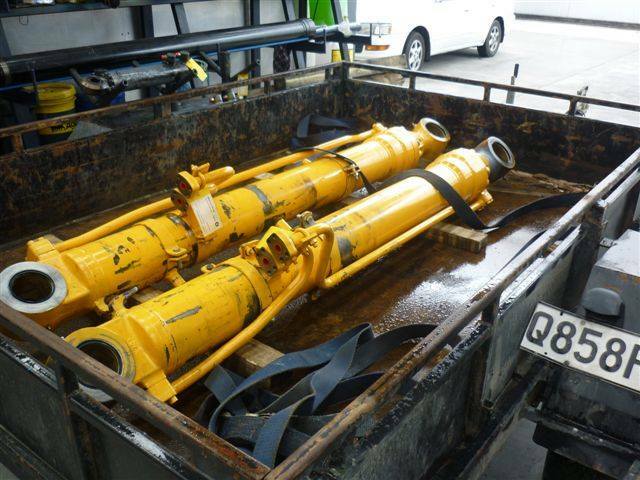 Large hydraulic cylinders ready for servicing. 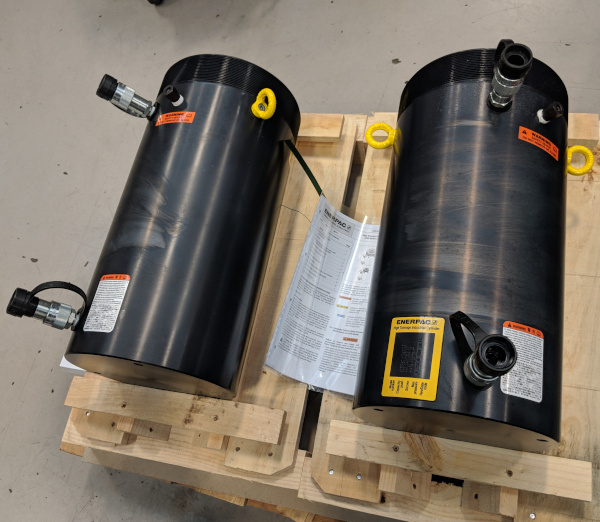 With turnaround time being the most important driver of the business, the owner of these cylinders was pleased to have them back quickly so he could get on with the job on hand. 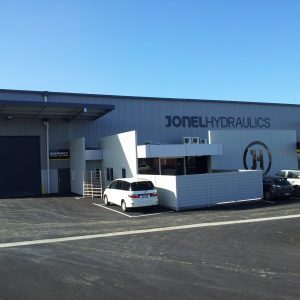 Jonel’s old hydraulic workshop. 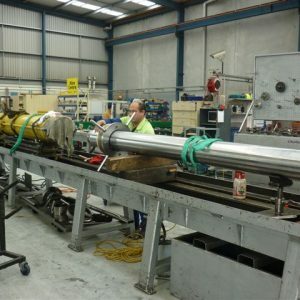 Precision Cylinder manufacture & repair take place in Jonel’s workshop. 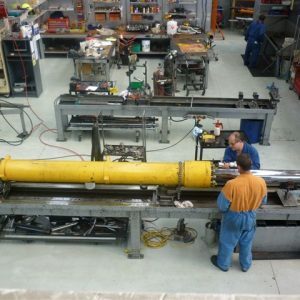 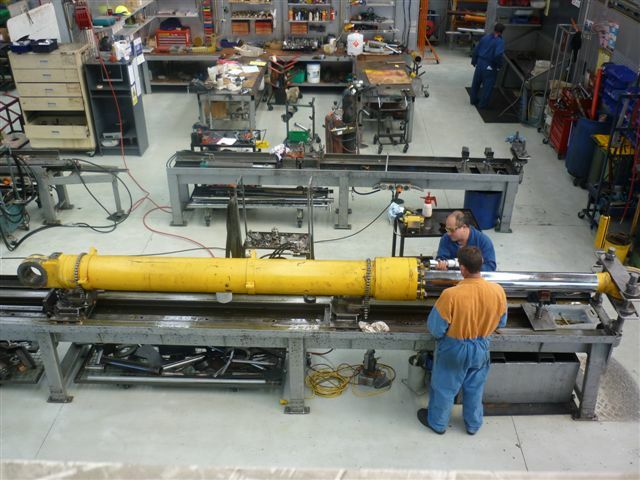 A hydraulic cylinder on the workbench. 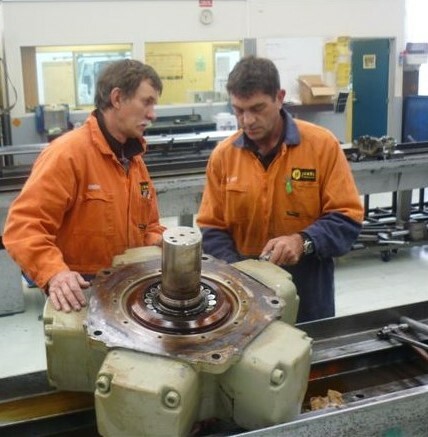 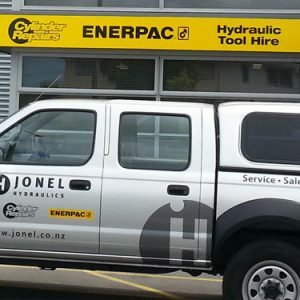 You will find Enerpac industrial tooling on so many worksites around NZ. 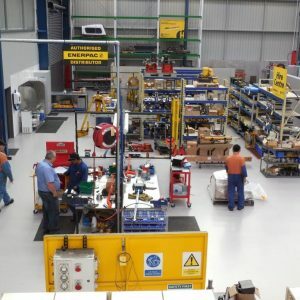 The Jonel mantra overlooks the workshop floor. 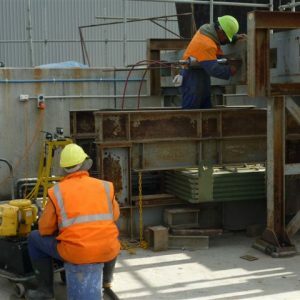 The premises at 7 Blackburn Road have lots of space for working outside in fine weather as well as huge covered areas. 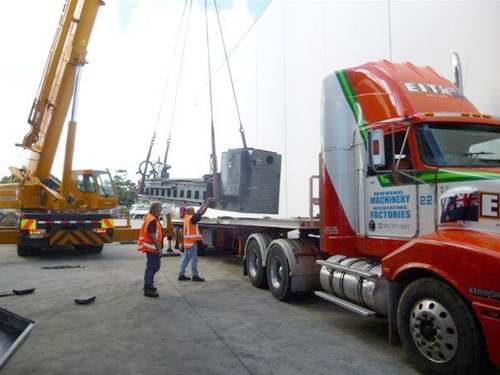 Shell Todd’s 3.2 Tonne cylinder heads off to Taranaki after a thorough hydraulic testing service. 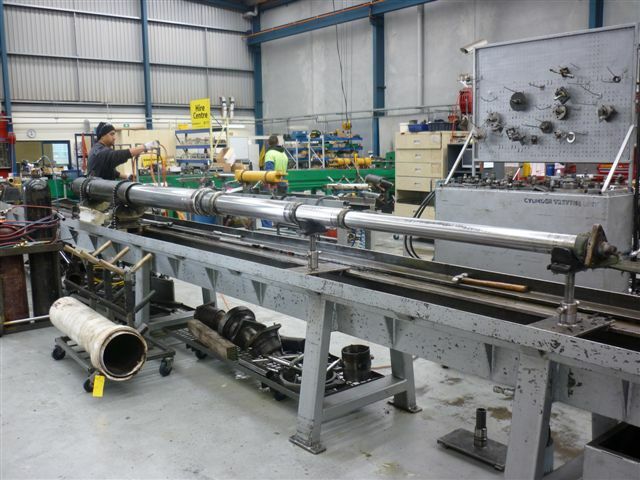 New nitro carbonised cylinders head out to Fiji to do battle with salt winds and corrosion. 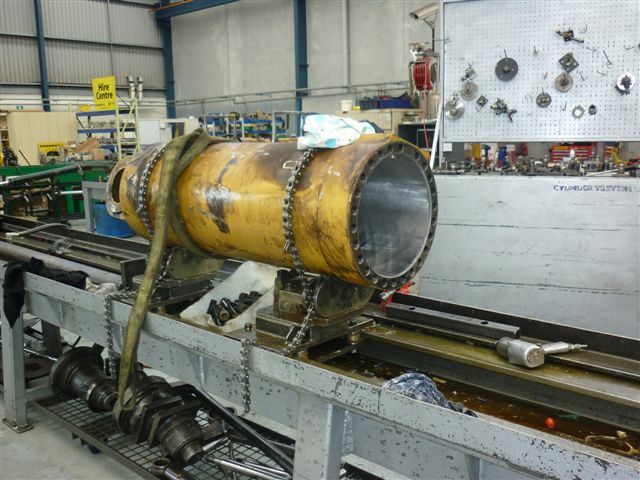 Speedy hydraulic repair A large bore of a cylinder is waiting to be assembled. 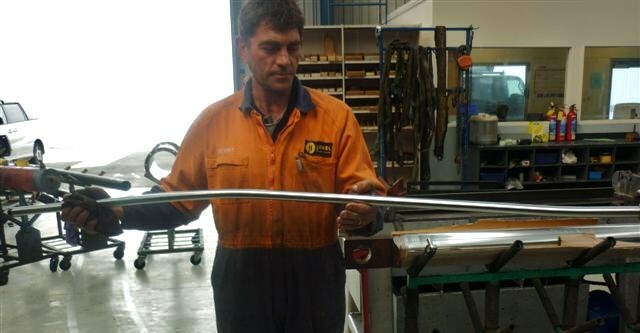 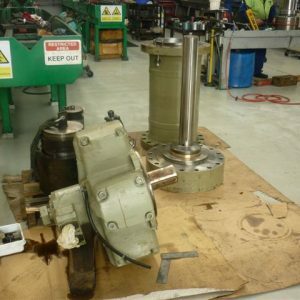 Jonel staff have dismantled the cylinder, honed the barrel and in the process of assembling with new seals. 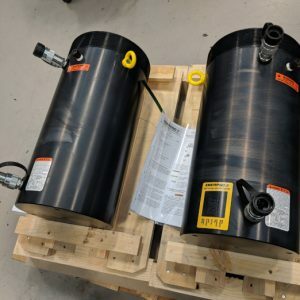 This cylinder was soon successfully assembled, tested and delivered to the customer. 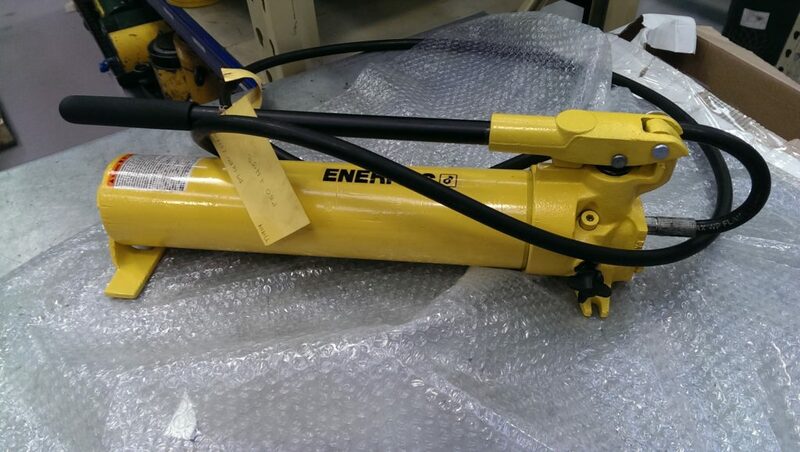 This hydraulic cylinder required new seals and testing. 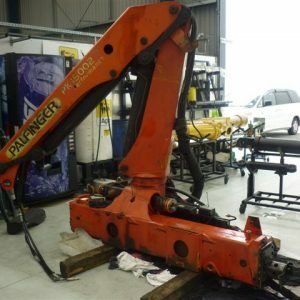 These are very valuable pieces of machinery and even the smallest error during repair can be very expensive. 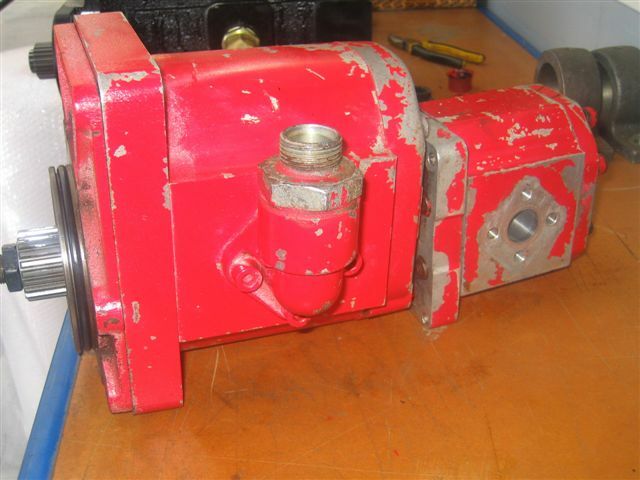 This ZU Enerpac pump has done a huge amount of work and was still in very good condition when we encountered it. 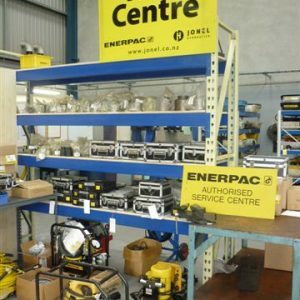 ENERPAC range of pumps are very robust and fit for purpose and maximise the value to the customer. 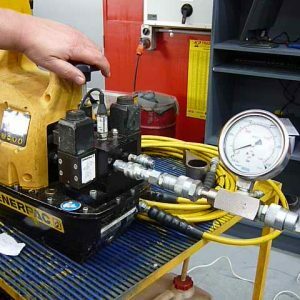 No wonder the brand loyalty to Enerpac hydraulic tooling is so high! 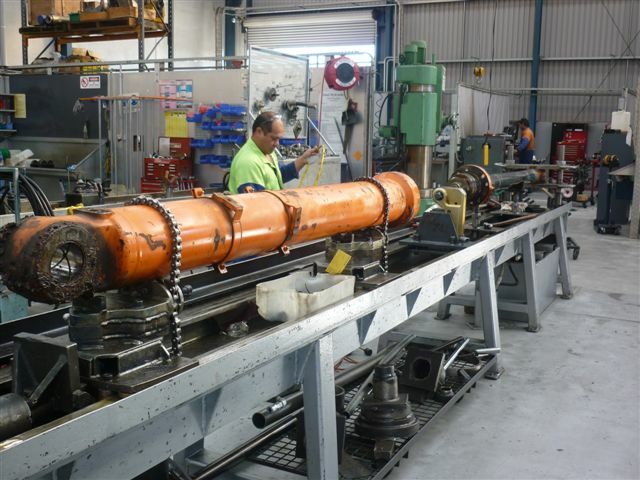 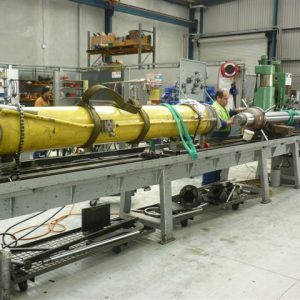 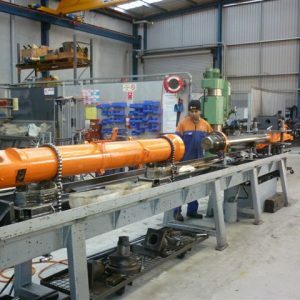 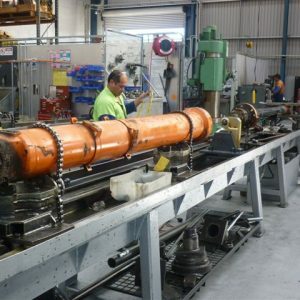 Hitachi cylinder service One of Jonel team is assembling a large Hitachi hydraulic cylinder. 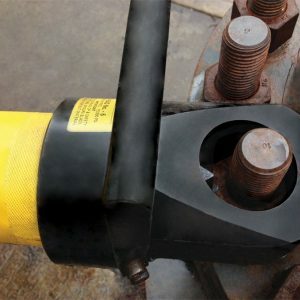 With the proper repair tools on hand the size of the cylinder is no problem. 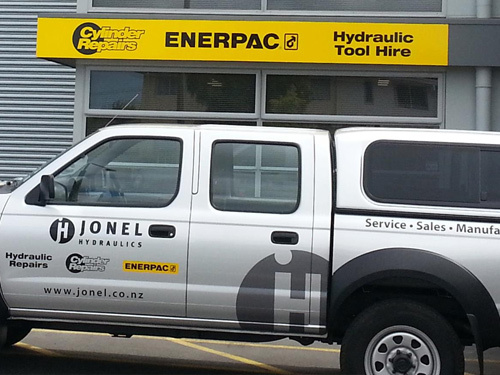 Christchurch premises on Sockburn Road. 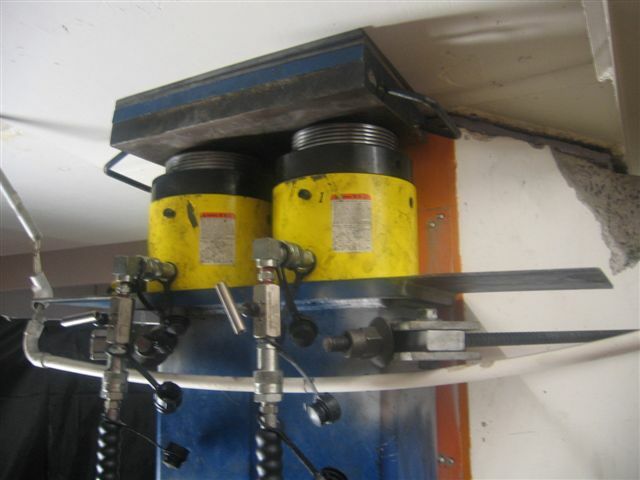 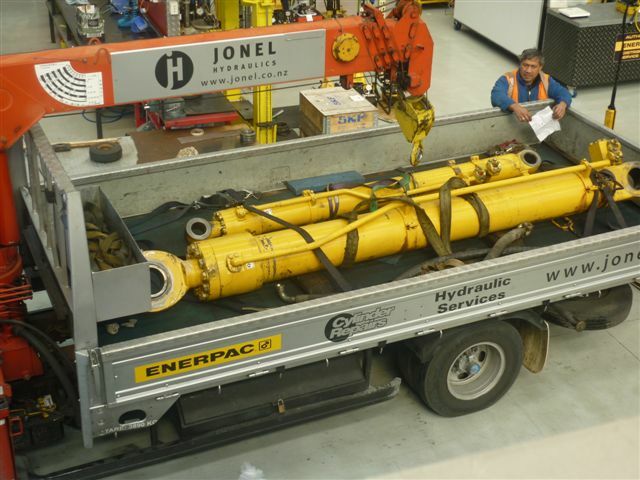 Large crane cylinder repair Jonel Hydraulics repair large crane cylinders all the time. 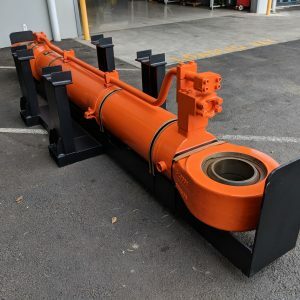 This is a large 250T crane cylinder. 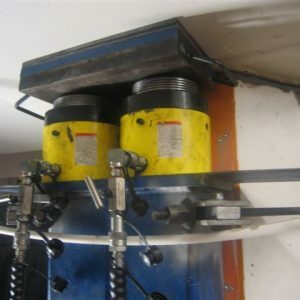 Stored in the rack below are many jigs that have been developed over the years. 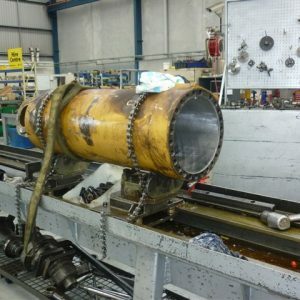 Large cylinder repair Our workshop is well equipped to deal with big cylinders. 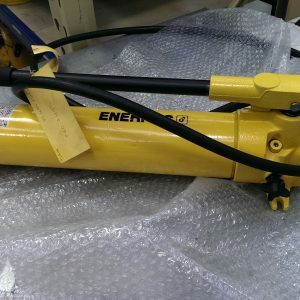 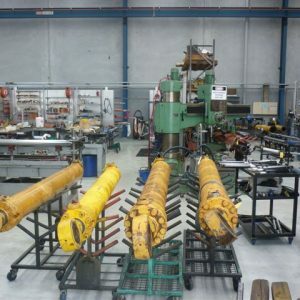 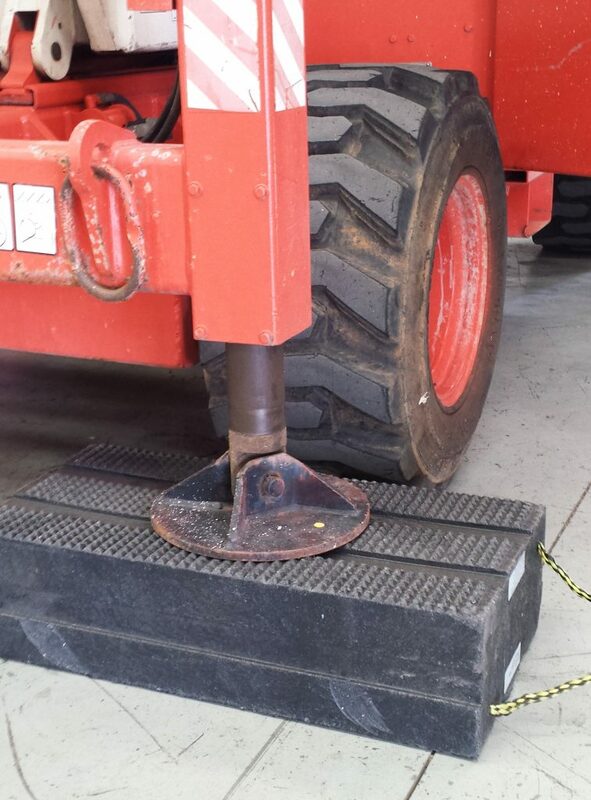 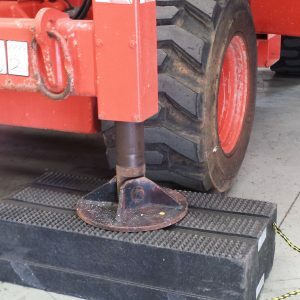 We have the tools to deal with the large hydraulic cylinders. 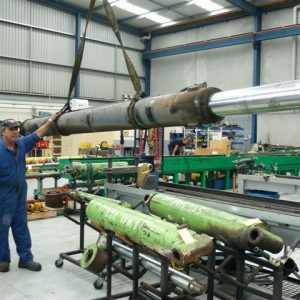 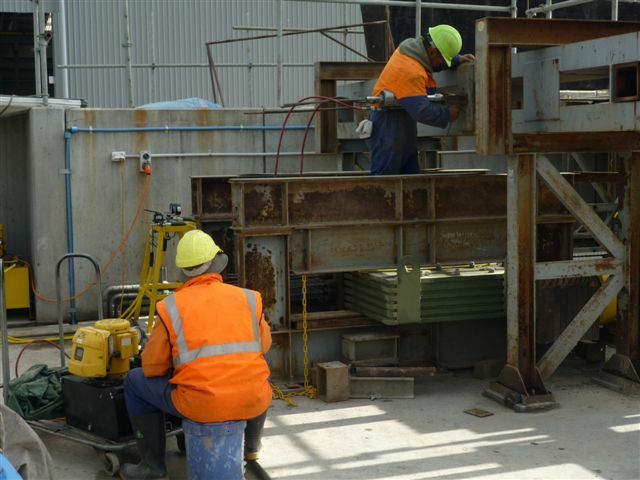 Torque wrenches, various jigs, hydraulically powered long dismantling benches all help the company to carry out thorough repairs. 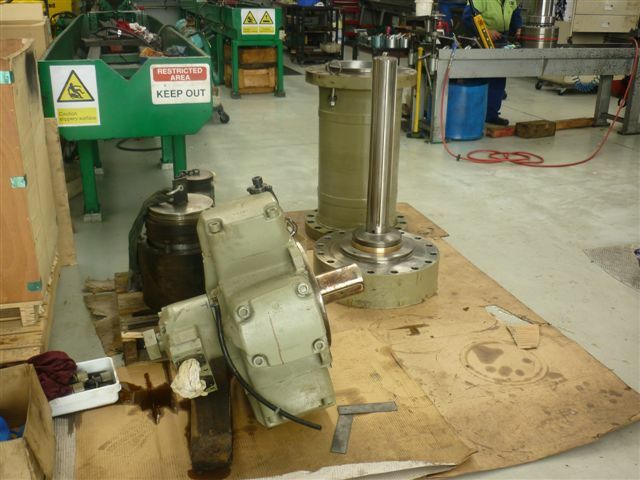 Conditioner reconditioning: Another large cylinder badly in need of attention. 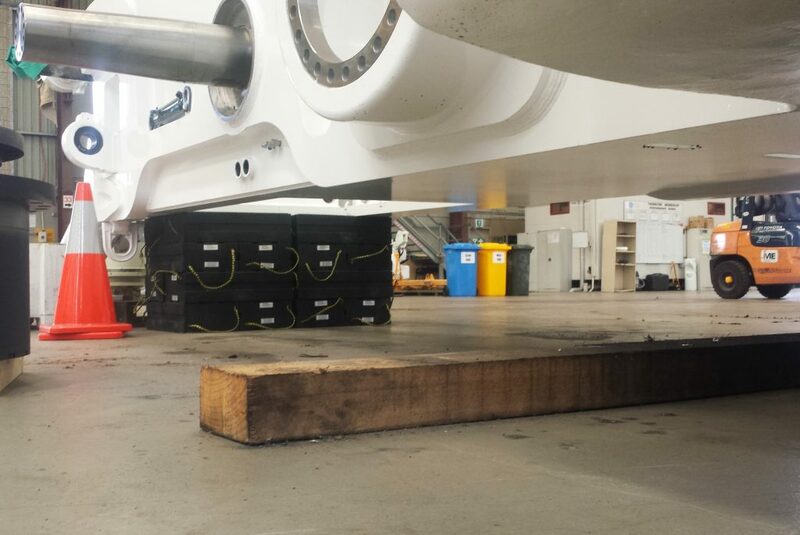 Alstom Power needed powerful jacks for a controlled lift of a 53 tonne turbine. 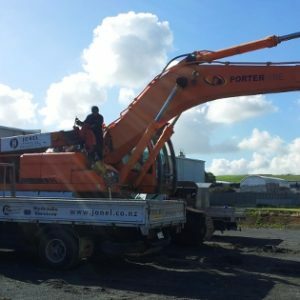 Jonel to the rescue. 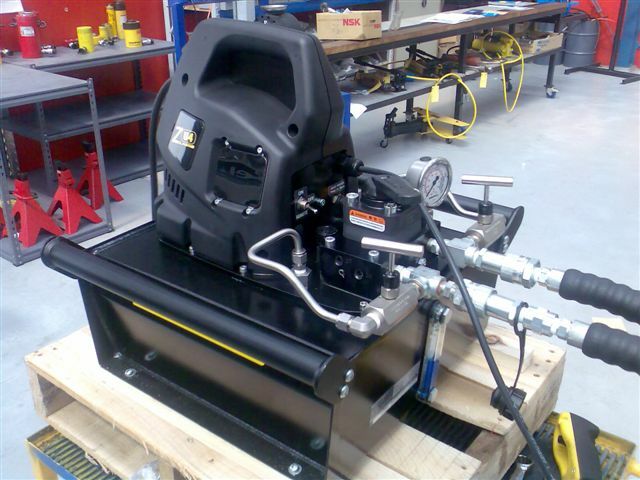 Another Z4 pump ready for delivery. 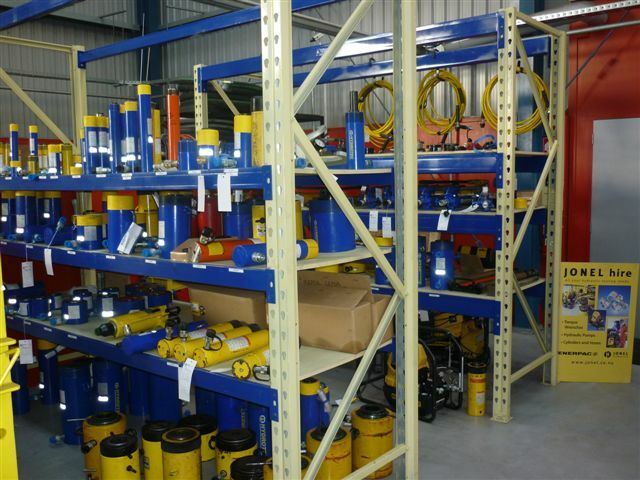 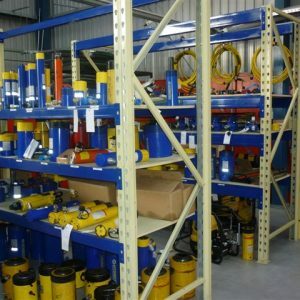 As the Authorised Seller and Service Centre, Jonel Hydraulics has significant, in-depth knowledge of the products we sell. 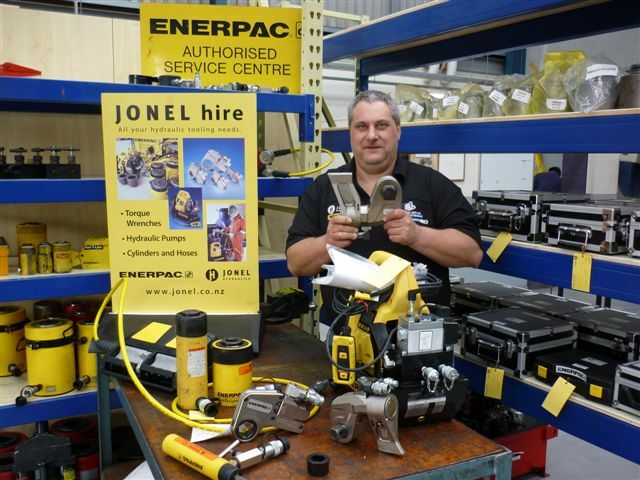 George in his happy place – surrounded by hydraulic equipment for hire. 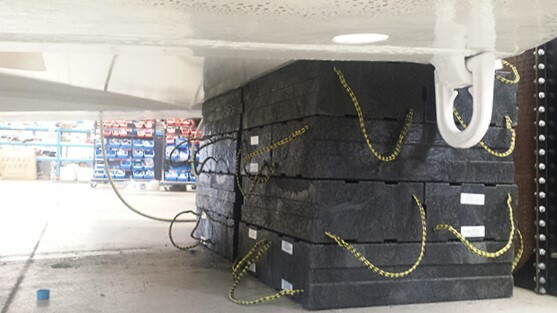 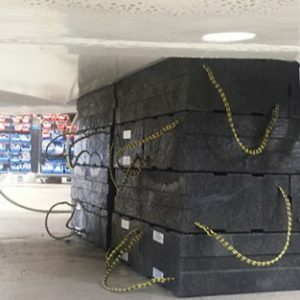 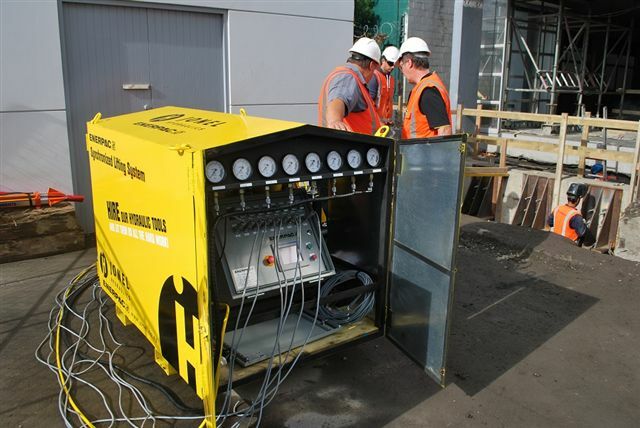 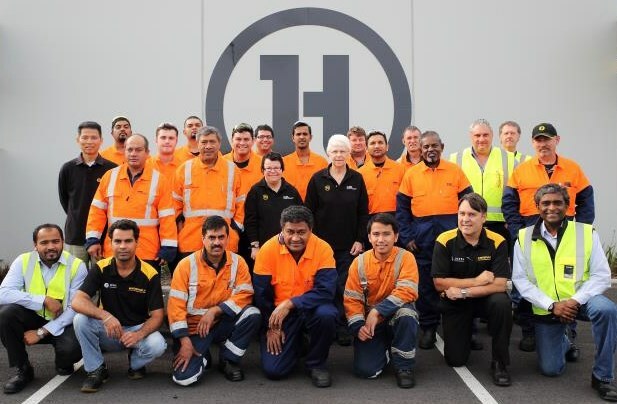 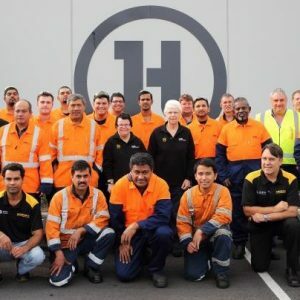 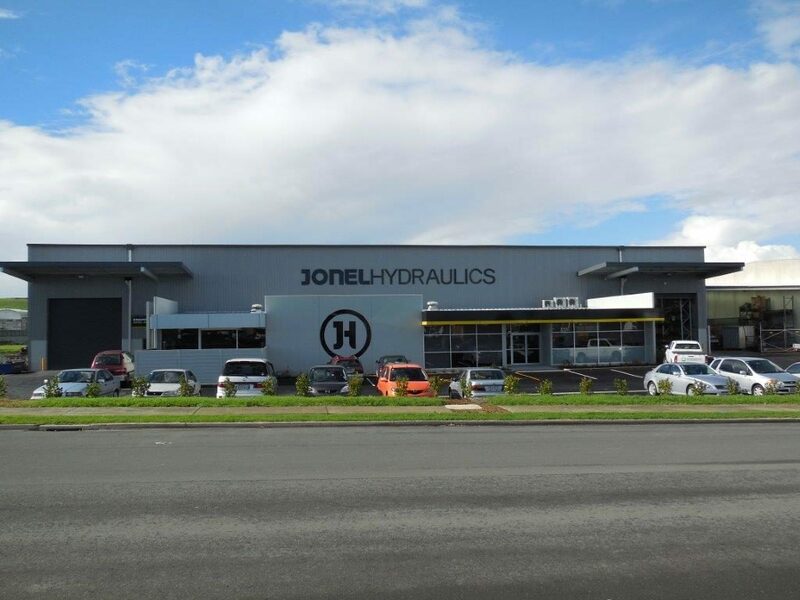 Jonel Hydraulics’ jacking systems were used by Hawkins Construction to repair the collapsing roofing of a multi story car park building in central city Auckland. 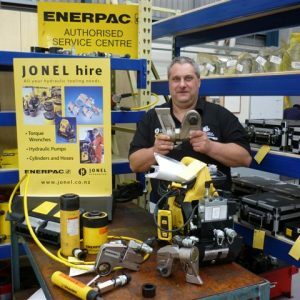 The team at Jonel Hydraulics repair and refurbish all forms of power packs. 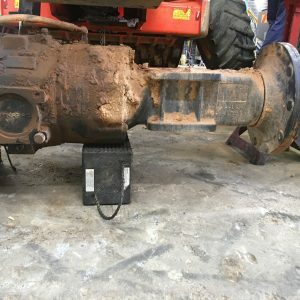 The service of this unit included filter change, replacement of a number of pipes and hoses, new seals etc. 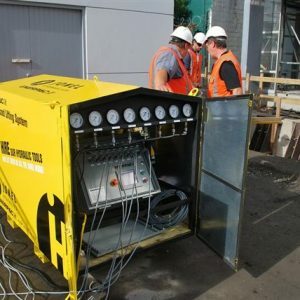 All such power packs are tested properly prior to customer taking delivery of it. 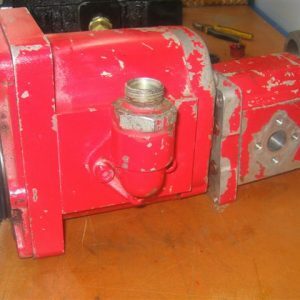 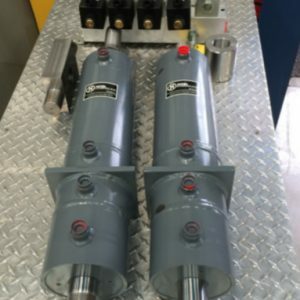 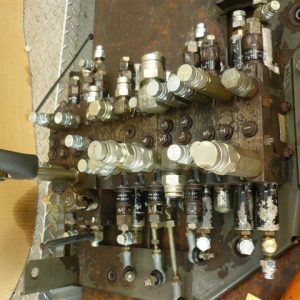 Jonel’s Hydraulic Repair division regularly deals with old hydraulic pumps. 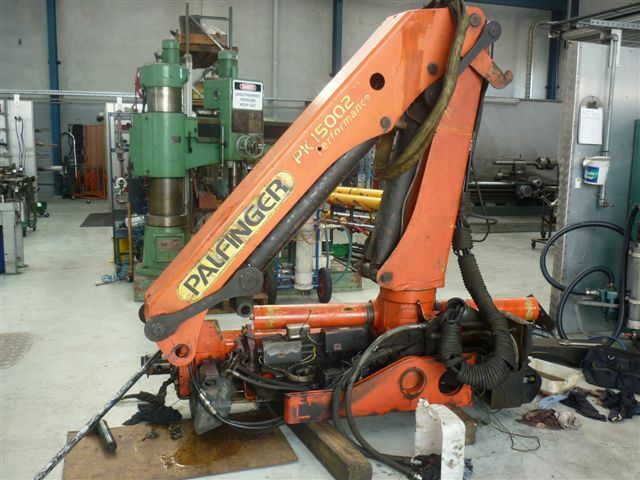 This one is from Tahiti and is more than 20 years old. 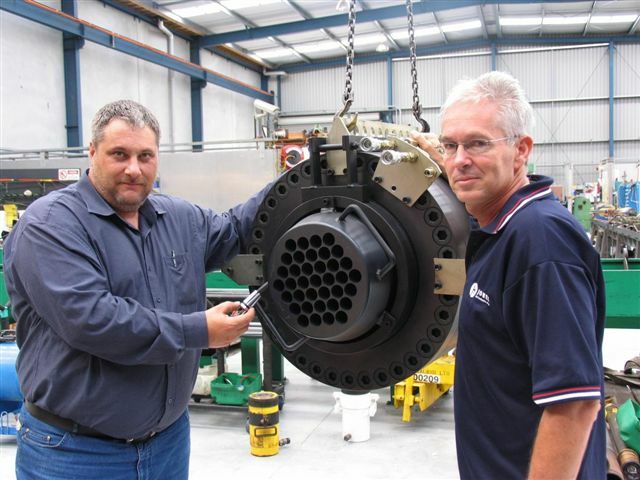 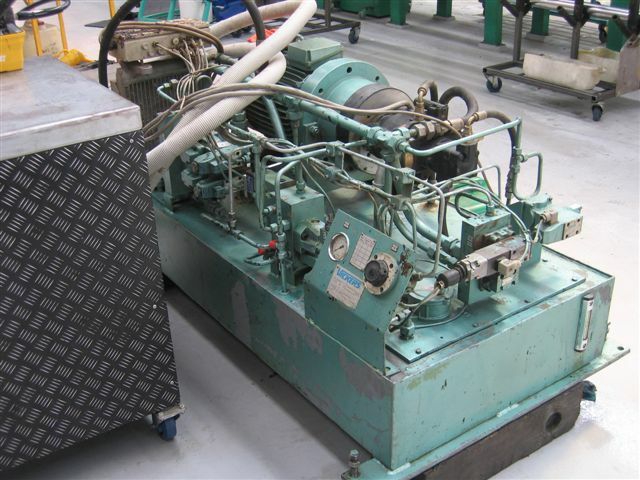 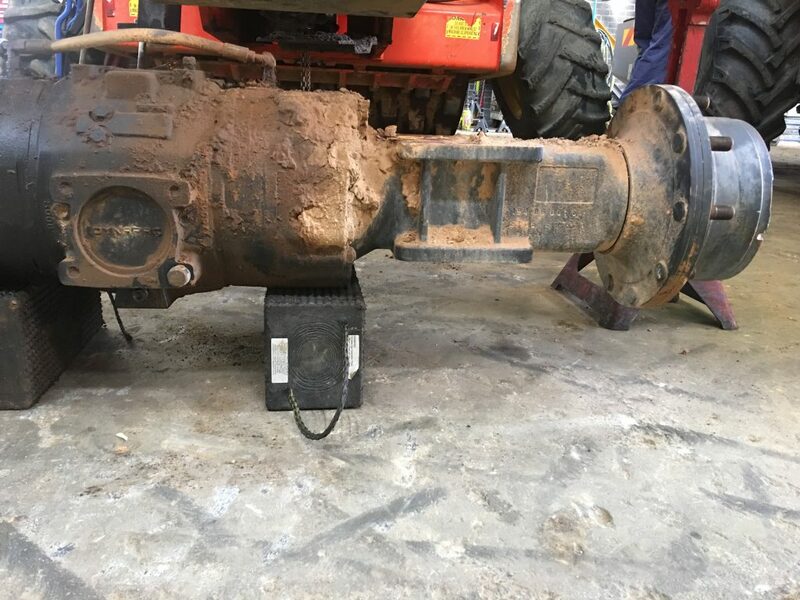 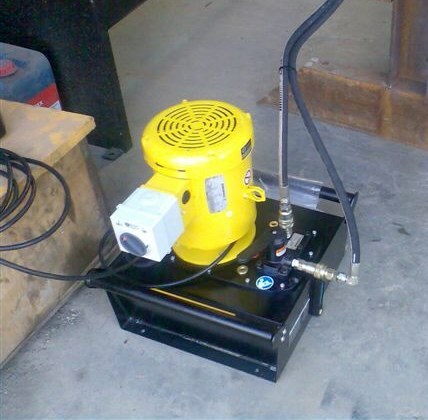 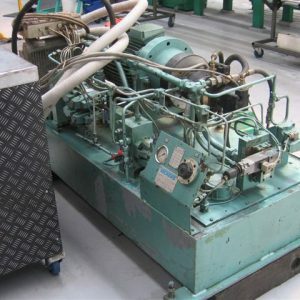 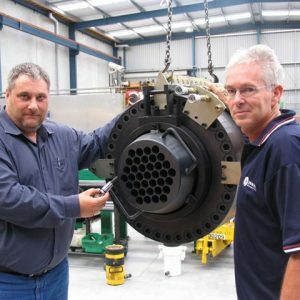 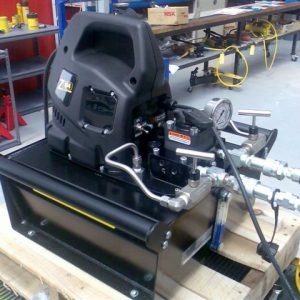 Given the manufacturer had discontinued this pump, the team at Jonel found a suitable replacement, used an adopter plate for the bolt holes and solved the customer’s problem of getting the machine working again. 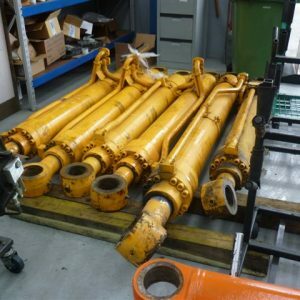 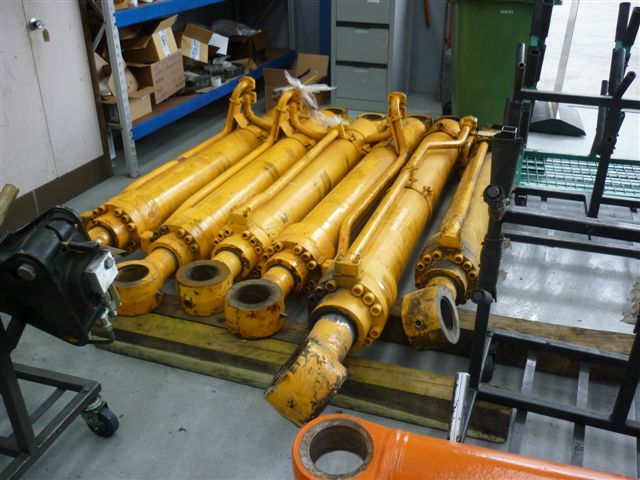 Hydraulic cylinders arrive at Jonel ready for reconditioning. 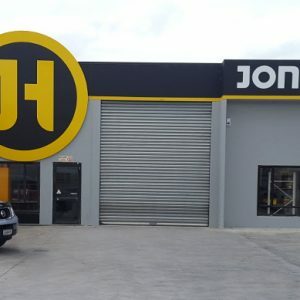 Jonel hydraulic hire centre. 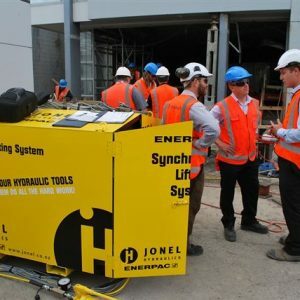 Jonel Hydraulics%u2019 hire centre include all popular hydraulic jacks and pumps for a large range of applications – email sales@jonel.co.nz to ask for more info. 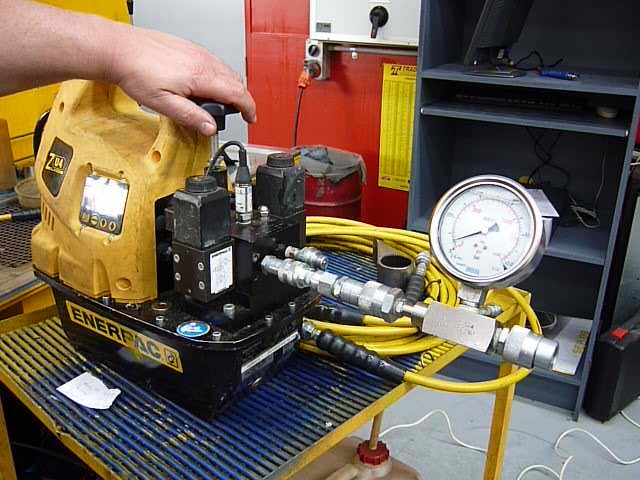 Enerpac pumps are used in all sorts of applications – in this instance it is being used to power up a press. 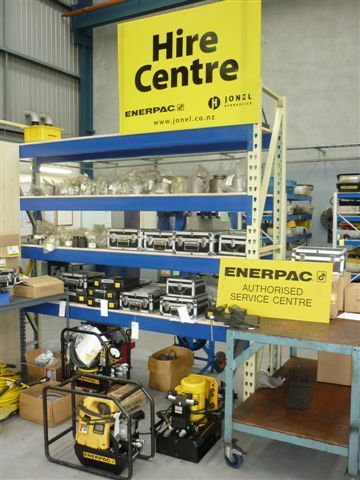 Enerpac Synchronised lifting systems. 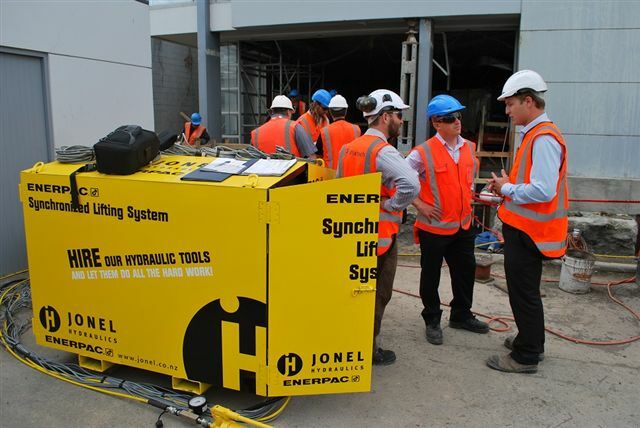 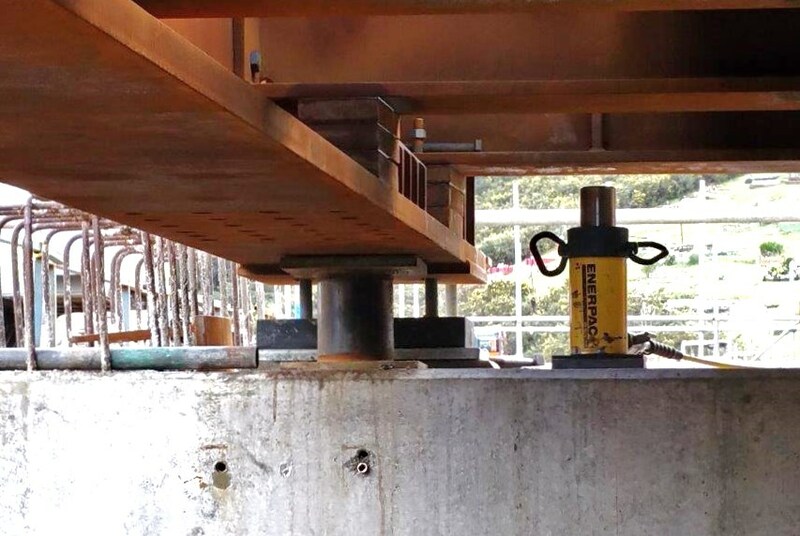 Jonel’s Enerpac Synchronised lifting systems are about achieving precision lift. 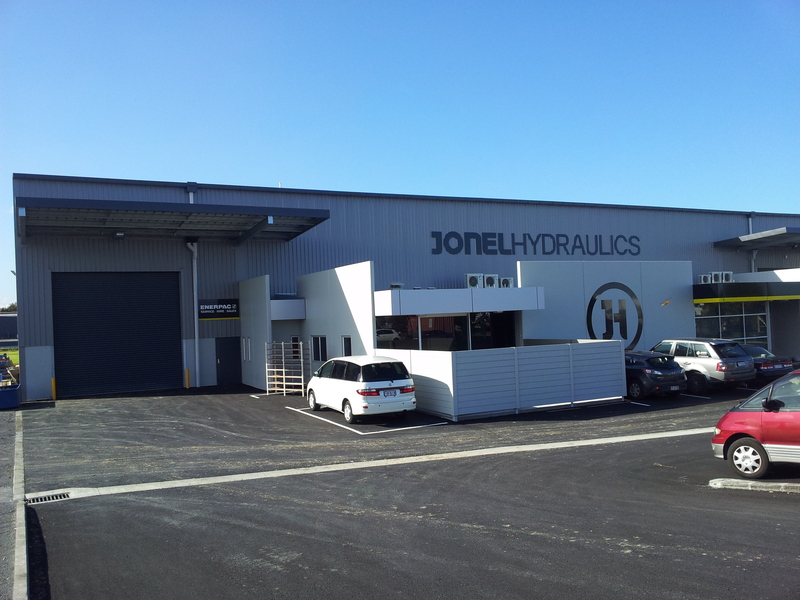 Jonel’s premises at 7 Blackburn Road East Tamaki are purpose built.